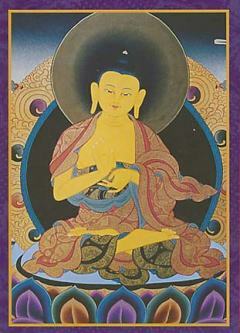 These colorful Green Tara Greeting Cards feature images from Tibetan Buddhism, in particular the major deities found in Mahayana Buddhism in Tibet and Nepal. Each card explains the meaning of the deity depicted on the card, but the inside is blank so you can compose the perfect note to a loved one or friend. 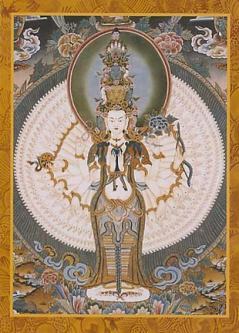 Green Tara is associated with protection, healing and compassion. She is considered to be a loving goddess. 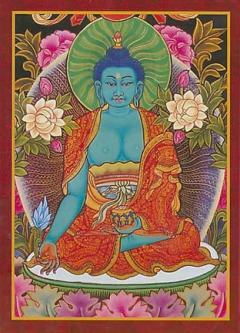 Tibetan Buddhist believe that life is a journery across the Ocean of Samsara, and Green Tara is there to help us in our crossing. Traditionally offering protection from drowning, thieves, fire, and other misfortunes, Green Tara brings courage to see things in new ways and move in new directions. Historically, Green Tara was the Nepalese princess who married Songsten Gampo, the first Buddhist King of Tibet. This same king also married a Chinese princess, who we know as White Tara.